Created by legendary golfer and world-renowned golf course architect Jack Nicklaus, Mansion Ridge is carved out of the mature forests and rolling hills of a 220 acre estate. It is the only Jack Nicklaus Signature Course open to the public in New York State. f you like outdoor fun, you’ll love the Hudson Valley. The famous Appalachian Trail (that was actually started here) is just one of the thousands of miles of trails enjoyed by hikers. Destination ski resorts, executive golf courses to PGA, white water rafting, world-renowned rock climbing, boat cruises, and fantastic fishing are just the beginning of the excitement you’ll find in the Hudson Valley outdoors. Planning a golf trip to Hudson Valley or looking to golf while traveling? Looking for Hudson Valley lodging for an upcoming golf trip? Plan your visit online through TripAdvisor.com. Search for hotels, flights and attractions and more. Get specials deals, low rates and a convenient way to plan. Planning has never been this easy. 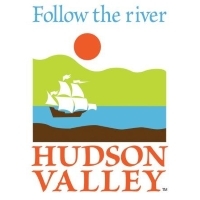 Been to Hudson Valley? Write a review to help future golfers plan their golf trip.